Convertible laptops have become popular among programmers because they make it possible to approach a problem from multiple angles with a single machine. The tablet mode is perfect for coming up with a high-level system design, the tent mode comes in handy when reviewing the code with colleagues, and the laptop mode is indispensable for the actual programming. In this comparison, we pit the HP Spectre x360 against the Surface Pro 4 from Microsoft. While the two convertibles offer different takes on the 2-in-1 form-factor, they are both equally appealing to developers looking for a versatile laptop for programming. For the sake of this comparison, we are going to focus only on the 13.3-inch HP Spectre x360. There’s also a 15.6-inch version, which weighs 4.43 pounds. When you consider that the Surface Pro 4 weighs just 1.73 pounds, it’s easy to see that the HP is in a different category. That said, the 2.86 pounds heavy 13.3-inch version of the HP Spectre x360 is light enough to compete with the Surface Pro 4, especially because it comes with a non-detachable keyboard. 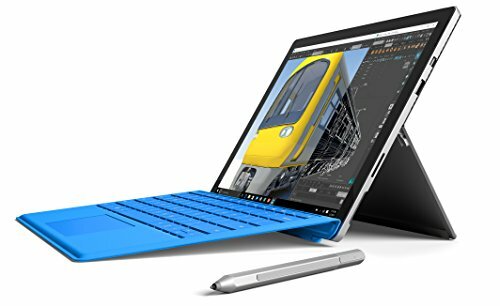 To enjoy a comfortable typing experience with the Surface Pro 4, you need to purchase the Surface Pro 4 Type Cover for $130. The cover adds 0.68 pounds of weight, making the total weight of the laptop 2.41 pounds. Instead of a keyboard, Microsoft has decided to include the Surface Pen, an active stylus for natural writing and drawing, with the Surface Pro 4. HP also offers a similar pen, the HP Active Stylus, but it will set you back $60. The Surface Pen performs much better than the HP Active Stylus, being more sensitive and precise. 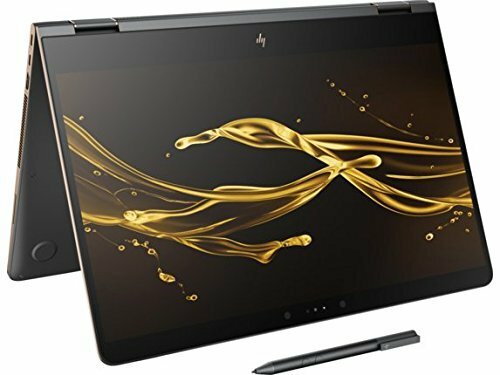 You can actually draw with it just like with a professional graphics tablet, whereas the pen from HP can only be recommended for web browsing and basic note-taking. The Surface Pro 4 has a 12.3-inch PixelSense display with 2736 x 1824 and a 3:2 aspect ratio. The HP Spectre x360 has a 13.3-inch display with 1920 x 1080 pixels and a 16:9 aspect ratio. Being wider, the HP is better suited for multimedia consumption, while the Surface Pro 4 provides more vertical screen real-estate for documents, text editors, and web pages. The much higher resolution also makes the display a lot crisper, but that’s not to say that the HP Spectre x360 looks pixelated—1920 x 1080 pixels is more than plenty for a 13.3-inch display. As you can see, each of the two laptops provides a different set of features, making it impossible to pick a clear winner. Developers should keep in mind that the Surface Pro 4 won’t be of much use to them without either an external keyboard or the rather expensive Type Cover. The more productivity-oriented 3:2 aspect ratio, however, is perfect for having your favorite IDE displayed at full-screen. The Surface Pro 4 only has a single full-size USB 3.0 port. Yes, there’s also an audio jack, a Mini DisplayPort, and a microSD card reader, but a single USB port is very limiting no matter how you look at it. You plug your USB mouse and you’re out of available USB ports. Both laptops can be specced with an Intel Core i7 processor, up to 16 GB of RAM, and both feature an integrated graphics card. The Surface Pro 4 is available with up to 1 TB of SSD storage space, while the HP Spectre x360 only comes with up to 512 GB. Given how similar the specifications of the two laptops are, you can expect them to perform roughly the same. Our only recommendation is to select a version with an Intel Core i7 processor, especially if you often work on larger code bases or niche applications. The moment you run a virtual machine to test your software in a different environment is when you realize the benefit of having an i7 instead of an i5. The battery inside the Surface Pro 4 is rated at 5087 mAh, which is a 9 percent decrease from the 5547 mAh battery in the Surface Pro 3. Despite this, Microsoft has actually managed to increase the battery life of the latest Surface Pro through software updates and various driver optimizations. The HP Spectre x360 has a 4912 mAh battery, but the battery life is abysmal. If you limit your usage, you can get a full day of use out of the Surface Pro 4, but going over 6 hours with the Spectre x360 isn’t an easy task. At $1,250 for a model with an Intel Core i7 processor and 16 GB of RAM, the HP Spectre x360 is half the price of a similarly specced Surface Pro 4. To enjoy the performance of an Intel Core i7 with the Surface Pro 4, you better be ready to pay $2,600 for the laptop itself plus $130 for the Type Cover detachable keyboard. 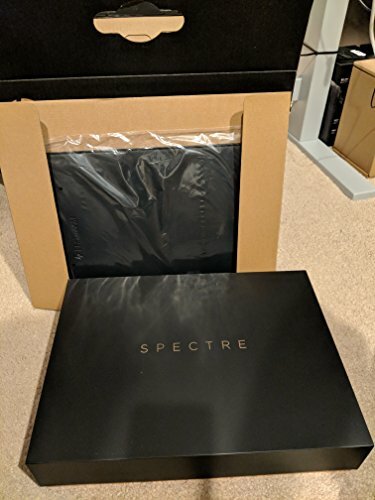 It’s only when you go with an Intel Core i5, 256 GB SSD, and 8 GB RAM when the price of the Surface Pro 4 becomes similar to the price of the Spectre x360. For developers who want a 2-in-1 laptop for nothing but coding, the Surface Pro 4 is a hard sell. The laptop makes more sense if you like to mix things up and use a single device for multiple purposes, such as multimedia consumption, note-taking, project planning, and so on. Still, all those tasks are easy to accomplish on the HP Spectre x360, which gives you much better performance for a lot less money, and you’ll even have enough money left for a portable laptop charger to compensate for the weak battery.